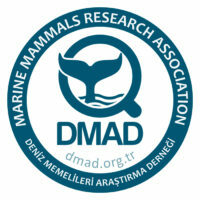 The Montenegro Dolphin Research is a scientific project run by Marine Mammals Research Association (DMAD). Our study is the first and only long term research study of marine mammals in Montenegrin coastal waters, with recent surveys covering until to the central coastline of Albania. We aim to address questions about marine mammal abundance, distribution and behavior, define critical habitats and investigate the impact of major threats, ranging from tourism to seismic practices. The advertise course fall under to develop necessary research/scientific/analysis skills to reach the aim of the project. This is a valuable opportunity for graduates, that wish to gain experience in the marine mammal research field, and undergraduates, that would like to obtain internship academic credits. It could be used to develop a scientific project for BSc and MSc thesis. However, we are also open to accept applications from anyone whose love for dolphins is strong and sincere and willing to learn about research and analysis techniques. Opportunities are available starting from May 2019 until September 2019. The minimum duration of the course is 2 MONTHS, with possible exceptions for skilled candidates. Willingness to learn new software applications. Email your CV and cover letter to akkayaaylinn@gmail.com (Aylin Akkaya Bas) and info@dmad.org.tr, explaining why you are the perfect asset for our course and which goals you hope to achieve with us! Please mention the PERIOD OF INTEREST AND DURATION OF AVAILABILITY!